Janine Kurnoff has always had a passion for helping people tell their stories through a medium they use all the time – presentations. In fact, when Janine was pursuing her MBA, she quickly noticed that her classmates struggled to communicate their ideas using PowerPoint. Her classmates and professors noticed her presentations as well, as they were clear, visually engaging and always told a story. Everyone wanted in –and soon she was asked to develop a class to share her approach. It happened again when Janine joined Yahoo! Inc. in global sales training. Her impromptu “Lunch and Learn” sessions were an instant success among the sales and marketing teams, and word was spreading fast. She founded The Presentation Company (TPC) in 2001. Janine’s sister, Lee Lazarus, joined her at The Presentation Company in 2002 after being convinced that together they could change the way business presentations are created. Lee had spent years developing the branding, marketing communication, and PR strategy for two of the fastest-growing Internet and telecommunications market-research firms in Silicon Valley. As head of media relations, she understood the importance of translating mounds of data and information into clear and concise messages. With Janine in charge of global training and Lee overseeing sales and marketing, The Presentation Company, along with its top-notch staff, train and consult with some of the world’s top corporations, including Facebook, Instagram, Hewlett Packard, Nike, Cisco, and MetLife. Its mission is to help people – regardless of their roles – create captivating and results-oriented presentations. TPC’s workshops provide innovative visual storytelling and data visualization solutions that address the top presentation challenges: clearly communicating the value of your message and inspiring business conversations that drive people to action. 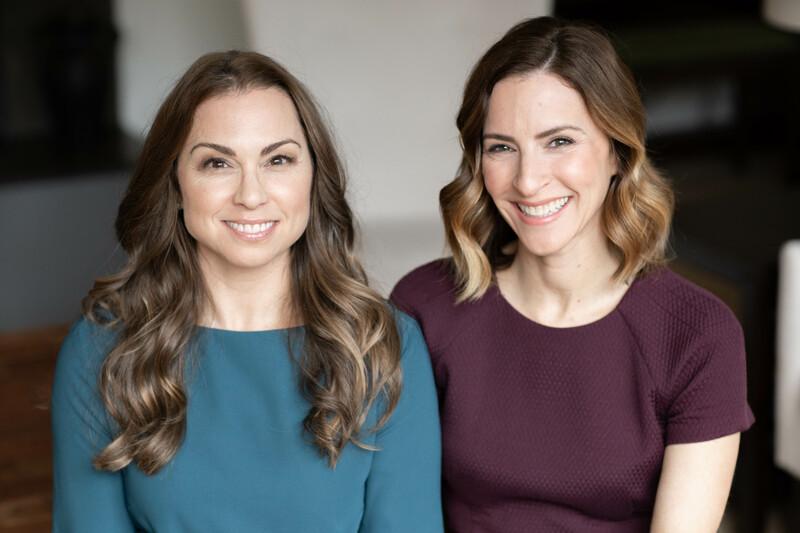 As self-avowed “mompreneurs,” Lee Lazarus and Janine Kurnoff have invested nearly 20 years in developing a company culture that cherishes personal life as seriously as it values business life. In this vein, they have recruited the best talent who, like them, choose to live, not just preach, their core values. Through these values, they have become the trusted advisors whom their clients rely on today. We transform teams at the world’s top brands from data collectors into strategic communicators, and we understand that people learn best by doing – not by being lectured to. TPC’s workshops are hands on and highly experiential, with interactive exercises, coaching, and instant feedback. Participants learn and reinforce new skills in the moment, either by transforming existing presentations or creating new visual stories during the workshop. The result? Talented businesspeople are able to move their careers forward and gain recognition as confident, persuasive, and memorable presenters – ones executives and key stakeholders want to make time for. We infuse excitement and commitment into what we do and how we do it. We act with honesty and trustworthiness in everything we do. We deliver what we promise and add value beyond what is expected. We believe that meaningful, productive change results from looking at challenges and opportunities differently, and we exercise our curiosity to take risks. We are one company, one team, and we believe succeeding together is as important as succeeding independently. We believe in encouraging our customers and team to work and live their best lives. Software Productivity Strategists, Inc. (SPS), works with us to provide a complete design, delivery and production service for your virtual event. SPS brings over ten years of virtual production and facilitation to the partnership. Their team of experts supports virtual instructors using HP Virtual Rooms, Microsoft Lync, Cisco WebEx and Adobe Connect Pro. SPS also provides recording and editing services and is a Microsoft Live Meeting and HP Virtual Rooms reseller. Our partnership with SPS provides everything needed for a seamless virtual event! We have worked extensively with Mandel Communications over the past 7 years, focusing on meeting the needs of clients when it comes to developing presentations and training. Mandel has extensive experience in helping clients understand how to build great content and messaging that is listener-centric, clear and compelling. They also coach communicators on how to be confident, credible and interactive. Recognizing the great influence visuals have in any successful presentation (after all, over half of what we remember is visual), we work together to help clients learn how to bring their Mandel Blueprint™ content to life visually in PowerPoint as well as in virtual meeting environments such as WebEx, Live Meeting, Adobe Connect, HP Virtual Rooms, etc. Our partnership ensures clients receive a well-rounded presentation or training experience that covers all aspects of a great presentation—from planning to design to delivery. We work with Cisco WebEx to deliver social media content to their virtual community, WebEx Channels. This free service provides business professionals with a single destination to find tools and resources developed by community members. Since 2004, we have used WebEx to deliver virtual training to Fortune 500 companies. Now we can also provide and share exciting new information with customers and the industry at large. Visit WebEx Channels to find tips on how to present like a professional using the industry’s premier virtual meeting platform, Cisco WebEx. I used to think I was visually impaired. Now I know I was visually untrained. Three bite-sized sessions of content via WebEx was more powerful than one long day of in-person presentations. I would never have believed it if I hadn't experienced it. This was one of the best trainings I've taken. Thanks to your workshop, I was able to process and develop better looking slides for our strategic planning meeting, and my management team loved the concepts so much that they are now required from other business groups. I would call that success! There were times during class that I didn’t know if I wanted to laugh or cry thinking about how much time I had wasted in the past working on a slide deck. The tools, tips are templates are such value-adds to start thinking about better storytelling in PPT. This training was a great investment, as I was able to see results and realize the time to impact very quickly.